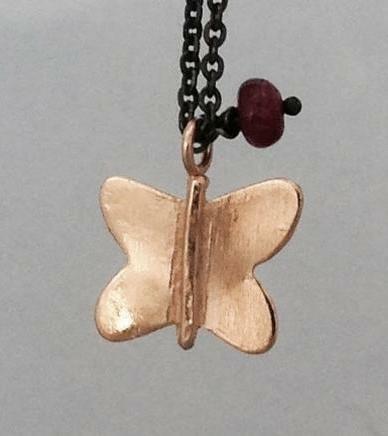 The little golden butterfly hanging of our neck. 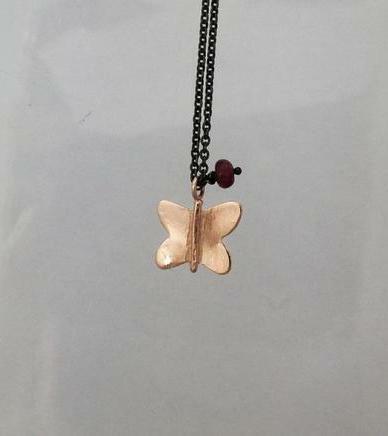 Piece made in silver and gold plated. With a ruby.